On ClassicalMPR.org, we're featuring stories about what classical music has meant to people from all walks of life. If you have a story to share, please write to Jay Gabler. My love for the Minnesota Orchestra began in 2007, when my fifth-grade music class took a field trip to Orchestra Hall. I was fascinated by all the different instruments — flute, celesta, trumpet, violin, and harp, to name a few. I was captivated by the holiday music they played, Leroy Anderson's Sleigh Ride being my favorite. After that performance, I knew that I couldn't continue on just playing piano, as I had since the age of five. 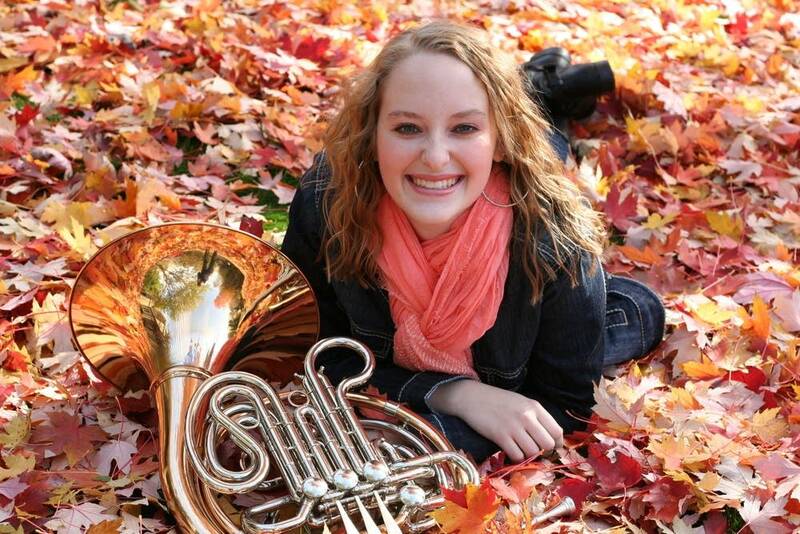 A year later, at the age of eleven, I took up the french horn — not imagining the path on which it would lead me. It all began on May 2, 2013, as Grant Luhmann and I grew tired of idly standing by while the Minnesota Orchestra lockout continued on. It was time that Grant and I stood up for what we believed in: bringing our musicians back to work, with fair compensation. Classical music played too significant a role in our lives for us to voluntarily allow the Minnesota Orchestra to be destroyed. Thus, the online Facebook group "Young Musicians of Minnesota Support LoMoMO" was born. Within a few hours, the newly-created Facebook group had already gained more than 300 members. The young generation of musicians in our state were fired up to dispel the myth that classical music was only for the old. Less than a month later, the motivated group of musicians led by Grant and I had a "filming day" at which we said, in our own words, what the lockout meant to us. In addition to creating a video, members wrote letters of encouragement to the locked-out musicians, enclosing photos of the event. After the letters were delivered, several of the recipients reached out to thank me for the kind words sent, and to say how appreciative they were for the support. The group continued to gain momentum. My friends continued to ask me, "What's next?" So, on May 27, Grant and I created a Facebook page and website, claiming the name "Young Musicians of Minnesota" (YMM), uploading photos from our filming day, and posting updates on what we had planned for the future. "And they say classical music has no future because 'young people' aren't interested — well, we all know 'they' are wrong!! Kudos to you all for advocating for your passion!" I read comment after comment as they were posted. I watched the Facebook likes rise. The large public support displayed proved to me that we, the young generation of musicians, can have an impact. I knew that what we were doing was right, and I was inspired to go out and do more. In June, Grant and I came up with the idea to create a YMM Orchestra. Quickly, we formulated an orchestra of about 50 students and began weekly rehearsals. Grant and I worked together to send out emails to the YMM Orchestra students, to book rehearsal and concert venues, and to create advertising and concert programs. In the process, we also created t-shirts, buttons, and business cards for the new organization. I spent hour after hour proofing designs, ordering merchandise, and running around to pick it all up. If I wasn't at tennis practice, I was at home working at the computer. The whole month of July was spent preparing the YMM Orchestra for their two upcoming concerts at the end of the month. Students at rehearsals were so appreciative of all the effort Grant and I had put in: several kids patted me on the back or high-fived me and said they were so thankful to have an orchestra to participate in for the summer. The YMM Orchestra's first performances were on July 26 and 27th, 2013. I pulled an all-nighter just a few nights before the concert, editing and finalizing the concert program, sending details to our musicians and the guest Minnesota Orchestra musicians performing with us, and making sure that we had all the required merchandise ordered. When the concerts arrived, all of the hard work I put in paid off. After the last notes were struck in our second concert, the audience roared with applause that seemed to never end. People yelled and cheered. My eyes filled with tears as immense joy and pride filled my heart. Minnesota Orchestra musicians, with grins on their faces, came to congratulate me, to thank me and hug me. A spouse of a Minnesota Orchestra musician approached my mother in tears, telling my mother that she had no idea how much the Young Musicians of Minnesota meant to the locked-out musicians. Tears streamed down my face as I drove home, overwhelmed with happiness, love, and excitement. "Tonight's concert marks one of the most rewarding experiences of my musical career." "Best orchestra I've ever performed with. Hands down." "There was just something about tonight, I can't put my finger on it, but I have never walked away from a performance with this glow in my heart, let alone the glow that we left in MacPhail and downtown Minneapolis." Meanwhile, Grant and I had become involved with a group from Take Action Minnesota. The group, consisting of adults, met to create a larger organization to represent the overall community's standpoint on the lockout. The group now goes by the name Save Our Symphony Minnesota (SOSMN). The YMM has teamed up with SOSMN to host a flash mob concert outside of U.S. Bancorp and hold rallies outside of Orchestra Hall. Beyond the YMM Orchestra and events hosted with SOSMN, the YMM has also held a presence at the Minnesota State Fair, volunteered at the Musicians of the Minnesota Orchestra's concerts, performed at an Orchestrate Excellence Forum, and performed at We Day Minnesota, among other events. After every YMM event, I receive texts, calls, emails, and letters from individuals, thanking me for the time that I've put into the Young Musicians of Minnesota. The support shown in the past year is overwhelming, and it inspires me every day to go out and do everything in my power to help end the lockout. It's very unsettling for the young musicians in our state to not know when the Minnesota Orchestra lockout will end. So many students in the YMM have had a life-long dream of becoming a professional musician in the Minnesota Orchestra — where do they go now? How can they pursue a professional career in music, knowing that our Minnesota Orchestra doesn't even exist? Osmo Vanska's departure was a shattering day for many young individuals. Several students, upon finding out about his resignation, excused themselves from class to go and sob in the bathroom. I was sitting in a practice room at my school when I found out. I sat, staring at my horn, and thought: "Is this truly what classical music in our state has come to?" Co-founding the Young Musicians of Minnesota is one of the proudest moments I will ever have. The YMM has taught me how to organize and manage an organization consisting of hundreds of students from across the state. Not only that, but the YMM has deepened my respect for classical music in Minnesota: we've given emotional performances, I've delivered several speeches, and I've developed friendships with the Minnesota Orchestra musicians on a personal level. I now want to major in arts administration and horn performance in college — to maybe become the Minnesota Orchestra's next President and CEO. I can't imagine doing anything else! Without the Young Musicians of Minnesota, I wouldn't have evolved into the bold, daring person who I am today. I never knew that I was capable of doing something like this until I went out there and took a chance to help keep the music I love alive. Emily Green began her music studies at the age of five, studying Suzuki piano with Barbara Rossow. She is now a junior at Centennial High School and studies horn, her principal instrument, with Caroline Lemen as she continues her Suzuki piano studies.